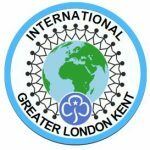 Girlguiding Greater London Kent covers the London Boroughs of Bromley and Bexley situated in South East London and Kent, with all districts and divisions within them coming under the GLK umbrella. There are between one or two of each section in each district, so your child should be able to be accommodated in the district closest to you. We welcome girls at any stage in the Girlguding process, from Rainbows up to a new Guide or even Ranger. Every stage is as rewarding as the last so we hope girls will find it a brilliant experience at any age! Please feel free to get in contact with us for more information, we look forward to hearing from you.